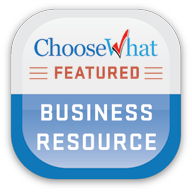 I'm excited to announce that Derek's Home and Business Blog has been awarded the "Featured Business Resource" Award by ChooseWhat. This award not only distinguishes my blog as a "Featured Business Resource", but also distinguishes it as a go-to source for information regarding entrepreneurship and business-related topics. ChooseWhat are a business located in Austin, TX that provides comparisons and reviews of services that help small companies save money and operate more efficiently. The Featured Business Resource Award is a new initiative by ChooseWhat that recognises and honours the most exceptional business resources. Out of the hundreds of blogs that were selected by ChooseWhat, only a small group were presented with this award. I am so delighted and honoured that my blog has been recognised and to have received this award. What started out as a hobby is now so much more, thanks to the support of my blog followers, visitors and more recently, my guest authors. Having this wonderful support motivates me in creating and publishing more of the blog posts and articles that my readers have come to enjoy. Providing tips and marketing information that helps small business owners is something that I really enjoy doing and I'm so happy that my blog has officially now become a recognised resource for business-related topics. Along with the dedicated support of my readers, this award is most appreciated and it's such an honour to have received it. Thank you Sean at ChooseWhat for awarding my blog the Featured Business Resource Award and the badge you have presented me with will now take pride on the blog's sidebar for all to see. Until my next post, have a wonderful weekend! I'm delighted to introduce you to a guest post from James Harper. James has experience of ecommerce solutions and writes on subjects relating to business and the internet. James also writes on behalf of Hallmark Consumer Services who provide efulfilment services to businesses large and small. Thank you James for guest posting on Derek's Home and Business Blog and I'm sure my readers will thoroughly enjoy your post. Most people dream of running a successful business. The idea of having enough money to do whatever you want to do, and of being your own boss, is incredibly tempting. Many people start up online businesses while trying to hold down a full time job, hoping that one day the online business will grow big enough to allow them to quit the office job. Sometimes, that dream works out, but in many cases, the online project falls by the wayside because it was "too much work". What's the difference between the abandoned website and the successful one? In many cases, it's nothing to do with consumer demand, competition, or even marketing - it's just down to one simple thing - love. Running a successful business takes a lot of work. It's not just a matter of setting up an online shopping cart, paying an SEO expert, and letting the efulfilment software and outsourcing take care of things. You need to pick the right products, write good descriptions, market in the right places, and engage with your customers. It's a lot easier to do all that if you love the niche you're working in. When you start a business that relates to a topic you enjoy, not only does it give you the freedom to engage in your hobbies, set your own hours, choose your working conditions, and even pick your colleagues, it also makes it easier to stay motivated. No matter how successful your business, there will be times when work is slow. There will be days when you have to do tasks that you don't like (accounts, anyone? ), and there will be customers that irritate you, or suppliers that let you down. It's during those times when your love of the subject matter will be what helps you get up in the morning, sit down, and get to work. Many of the most successful businesses started out as hobbies. Successful Karate dojos are often ran by people that have been training in the art for decades. Some of the best writers started out as hobbyist bloggers, and the airline Era Alaska was started by someone who loved airplanes, and chose to use his skills as a bush pilot to create an airline to serve one of the most remote parts of the world. When you turn a hobby into a business, the extra parts of running a business such as sorting out your accounts, finding suppliers, and setting up efulfilment, are much easier to cope with. The time fiddling with your efulfilment and ticketing systems becomes something you do in order to work with the things you love - and that's a whole lot more satisfying than doing things the other way around. When work is simply a means to an end, instead of the end itself, you're more likely to feel the stresses of being self employed, and if you're doing a job you hate you may as well go back to an office so that you can at least enjoy fixed hours and stability! About The Author: James Harper writes on behalf of Hallmark Consumer Services who provide efulfilment services to businesses large and small. James writes on subjects relating to business and the internet and has experience of ecommerce solutions of all sizes. Do you like this guest post? Please show James your support by leaving your valued comments. Would you like to guest post on the blog? Please use the Contact tab above to get in touch if you write business-related articles or articles on the topics of Internet Marketing, Affiliate Marketing, Social Media Marketing, Blogging, Search Engine Optimisation (SEO) or Search Engine Marketing (SEM). Until my next post, have a wonderful week! Since publishing a post back in November offering guest posting opportunities, the response has been phenomenal. I've received hundreds of emails from people requesting to guest post on the blog and I want to take this opportunity to say a BIG thank you to all those who have shown their interest. Given this unexpected but wonderful response, I'm delighted to announce that I will be publishing a guest post every one to two weeks (depending on continued demand) along with my usual blog posts and featured articles. I'm really excited about this opportunity, not only to introduce you to other writers, but also to the fresh new content that they will bring to the blog. You'll be able to easily distinguish these guest post from my normal posts by the graphic that is used above. I will be using this graphic on all guest posts in addition to adding a sentence at the beginning of each post which will introduce you to the author. Even though I've received an overwhelming response with regards to guest posting, there's always room for more. If you write business-related articles or articles on the topics of Internet Marketing, Affiliate Marketing, Social Media Marketing, Blogging, Search Engine Optimisation (SEO) or Search Engine Marketing (SEM), I would certainly like to hear from you. Just use the Contact tab above for more information, guidelines and to get in touch. The next guest post will hopefully be on Tuesday by James Harper who has written a wonderful article on how loving your business can help turn it into a success. I will also be publishing a featured article later next week on why you should not trust any SEO company that can guarantee you a first page or top 10 ranking. Until my next post, have a fabulous weekend! 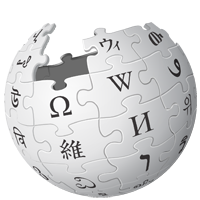 In a protest against the proposed SOPA and PIPA bills, Wikipedia has today blacked out the English version of its site for a period of 24 hours. Other major sites have also joined in the protest including Google, who have censored its logo for U.S users and provided a page where people can sign a petition. The proposed SOPA (Stop Online Piracy Act) and PIPA (Protect IP Act) bills are efforts to stop copyright infringement committed mostly by foreign websites. While this sounds good in theory, the way these bills are drafted could actually infringe free expression and severely inhibit people's access to online information. The Internet as you know it today could radically change for the worse, should these legislations be passed. I was watching the news today and seeing people's reactions to the Wikipedia blackout. Most of the people that were interviewed use Wikipedia daily and were very unhappy because the blackout was causing major disruptions to them and to their work or studies. While this is understandable, what these people may not realise is that if the SOPA and PIPA bills are passed, it will affect everyone around the world. This is not a problem that will solely affect people in the U.S. I would rather have one day of disruption than to see free expression being infringed, sites being shut down and have limited access to online information. The Internet would radically change and if you think one day of disruption is bad, just imagine having limited or no longer having access to sites such as Wikipedia that we've come to depend on. UPDATE 9:45pm: The House Judiciary Committee hearing on HR 3261 was scheduled in Washington, DC today but President Barack Obama has stepped in and said he would not support the bill. For now, SOPA has been shelved but it will be looked at again sometime next month. It's reported that the White House will continue to veto this bill or any other bill that's not more narrowly focused. With SOPA shelved for now, there still remains the PIPA bill, which is scheduled to go before the Senate on Tuesday 24th January. PIPA would censor the web and we can only hope that this too, will be shelved. Today, I'm delighted to introduce you to a guest post from Teresa Winters. Teresa is a freelance writer, internet marketer and a blogger at blogging.com.au where you'll find tips and tricks on how to blog successfully. Thank you Teresa for guest posting on Derek's Home and Business Blog and I'm sure my readers will enjoy your post. 1. Displaying their personal expertise - All the people on earth have been gifted with special and unique talents which no other person has. As difficult as this is to believe, it is very true. This means that, each person has a special contribution to make that would add value to another person's life. Aside from having a website, a blog is more personal and allows the owner to showcase their personal gifts in a manner that is unique to them only. Here, they can bond with like-minded people and many others who feel affiliated to the owner. This is a good way of reaching out to many people on a more personal level. 2. Communicating their requirements - The rules and regulations of designing web logs are rather loosely defined. This means that, they can be used for personal and business requirements. A person or company with a unique proposition can use their online log to further elaborate on their needs and requirements with a view to connecting with people who can provide the right solutions. These internet logs can be updated as often as required and at the time that it is required without the necessity of a web designer or developer. This makes them very affordable ways of explaining special requirements. 3. Informing the uninformed - People are always on the look out for new information regarding common everyday problems. They can spend lots of time online going through personal or business web logs to get a viable solution to their pressing issue. Internet logs form great ways of enhancing the information levels of those who are looking for different methods of solving problems. This information expands their minds and allows them to view a problem in a fresh new light from many different angles. 4. Entertaining the masses - Browsing the internet does not have to be tedious and boring. 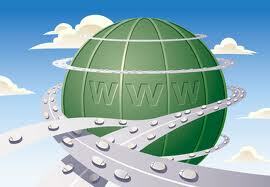 If it was, the World Wide Web would not be as popular as it is today. This is because; people appreciate humor in its many forms and feel a sense of kinship with the person providing the humor. Even if it is only from the portal of a web log, humor shows that a fellow human was behind the creation and therefore it becomes easier to identify and continue this relationship if and when required. 5. Questioning the status quo - Internet logs that provide news, views or any other topics usually have options for leaving comments or questions for the creator. This is an excellent feature because people should always be allowed to ask as many questions as they need. 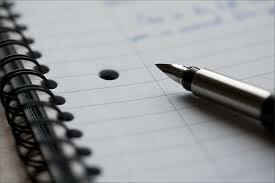 The main idea is to ensure that the questions get answered in a timely manner. Interactive internet logs make the visitors feel well taken care of and this can later blossom into a business or personal relationship depending on what the interacting parties are looking for. 6. Getting a following - In many internet logs, just like many social media sites, options are available to follow the author of the internet log. This is useful for providing updates, modifications, questions and suggestions where required. Furthermore, the web log author feels compelled to keep their online log alive with new fresh and relevant content to keep their visitors loyal. Blogging is a great way to meet and bond with many new visitors with similar or divergent views. About The Author: Teresa Winters is a freelance writer and internet marketer. She uses her exceptional blogging skills to create user-friendly web based content that both enlightens and entertains. Her aim is to add a personal touch to their online experience. Do you like this guest post? Please show Teresa your support by leaving your valued comments. To all my valued followers, visitors, advertisers and my friends at Bloggers Network, Happy New Year to you all. I hope 2012 brings you happiness and prosperity and be the year that makes your dreams come true. Happy New Year everyone..!! Traffic is essential to anyone who owns a website and/or blog. Without traffic we have no customers or sales. Unfortunately traffic does not just come to us, we have to work at it and we have to be consistent and persistent. Sales conversion rates normally average less than 5%. What this means is that only 5% of the people who visit your site will become a paid customer. So, to grow your sales, you need to boost your traffic and/or your conversion rates. Below are twelve things you can do right now to start increasing your traffic to get those sales. 1. Launch an Article Marketing Campaign - Writing articles is not as hard as you might think and it can do wonders for your traffic! Write about something you know and just pretend you are telling a friend all about it. There is no need to use big, fancy words because people just want basic, straightforward information. Submit your articles to some of the more prominent article directories such as Ezine Articles. 2. Guest Posting and/or Commenting on Blogs - Do a search to find quality blogs in your niche and ask if they accept guest posts. Write helpful comments on existing posts and leave your link. Get involved and start building your reputation! A good place to find blogs that need guest posts is BloggerLinkUp. 3. Write Website Reviews - Review websites on Alexa and get more traffic and improve your Alexa rating. Go to Alexa, register an account and start reviewing and getting that traffic. 4. Relevant Keywords - There are a lot of free keyword suggestion tools you can use to find the top keyword searches for your niche. For example: if you own a pet care site, you would enter the words pet care and the tool would find the most relevant keywords for you to use on your site. 5. Yahoo Answers - Visit Yahoo Answers regularly and post as many answers as you can but be sure to follow their policies. You cannot try to directly lead people to your purchasing pages or leave low quality answers with your website link. 6. Interactive Site - Make your site interactive with forums, polls, surveys, etc. If your visitors feel more involved with your site, you will get repeat visits and longer stays. Add a little fun as well with contests, games, etc. Have a weekly or monthly scavenger hunt, trivia game, etc. Running a contest for a month can boost your traffic by thousands. 7. Business Cards - Produce an effective business card and hand them out wherever you go. Be sure to make it unique. Offer a discount on a first order. Add a personal message. Offer a freebie. Make your business card more than just your name and address. 8. Podcasting - A podcast is an audio or video broadcast which people can listen to and/or watch on many devices. Make your podcast informative but interesting. Talk about how your site can help the people listening and let them know about any contests or other interactive activities you offer. All you need to make a podcast is a working microphone and a voice editor such as Audacity. Once you have made your podcast, promote it in podcast forums and podcast directories such as PodcastBlaster. 9. Moving Billboard - Turn your vehicle into a moving billboard to advertise your website wherever you go. Use affordable vinyl coverings such as Car Wraps or magnetic signs from Esigns. A day of fun can bring you a lot of traffic from your mobile billboard! 10. Social Media - These days social media is a must for more traffic. Join Facebook, Twitter, LinkedIn and more. Visit message boards and forums and really get involved. Answer people's questions, offer helpful advice and information. Becoming an active participant in social media can do wonders for your traffic. 11. 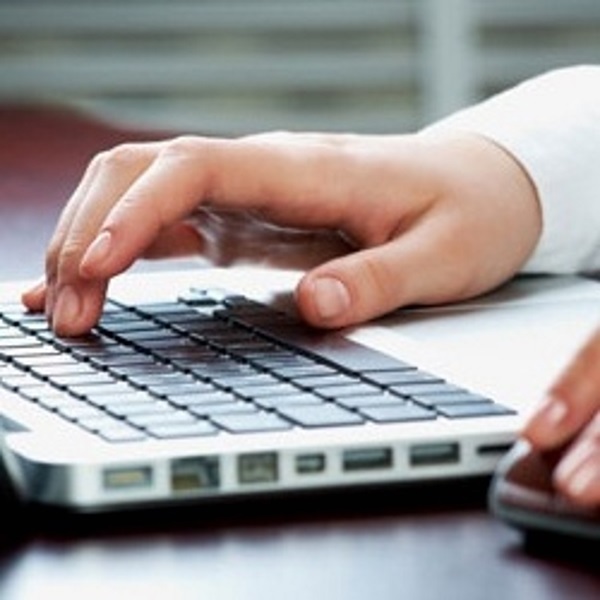 Offer a Freebie - Write an informative report or ebook and offer it for free. Put in your website link and other business info. Let people know they can give it away on their sites as well. Add it to your email signature. Post it on your social media pages. 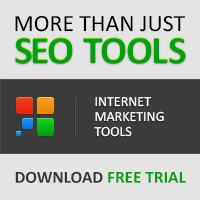 Before you know it, your report could be all over the web bringing you new traffic every day. 12. Sitemap - Create an XML sitemap for your site and submit it to Google. A sitemap will allow more accessibility to your pages by the search engines, thus making your pages easier to find by people doing searches. You can easily create up to a 500 page sitemap with XML-Sitemaps. There are other options as well such as XSitemap. Do a search and find alternative options to choose from. There are numerous ways to get more traffic to your site. Some will work for you and some will not. Try the ideas in this article and add to them, or mould them to work even better for you. Traffic does not come easily but by working hard, trying new ideas and finding out what works best for you will be very effective in boosting your traffic. Do you like this featured article? Please let me know by using the comments section below. Would you like your article to be featured on the blog? Please use the Contact tab above to get in touch if you write business-related articles or articles on the topics of Internet Marketing, Affiliate Marketing, Social Media Marketing, Blogging, Search Engine Optimisation (SEO) or Search Engine Marketing (SEM).